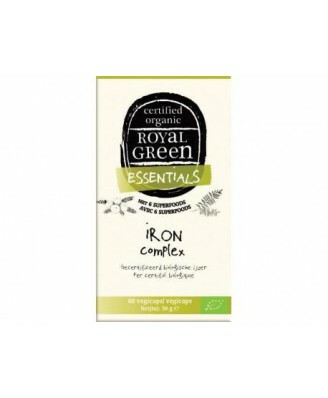 This Royal Green iron supplement provides 100% certified organic iron together with a powerful combination of amla (vitamin C), stinging nettle, aloe vera, turmeric, ginger and black pepper. 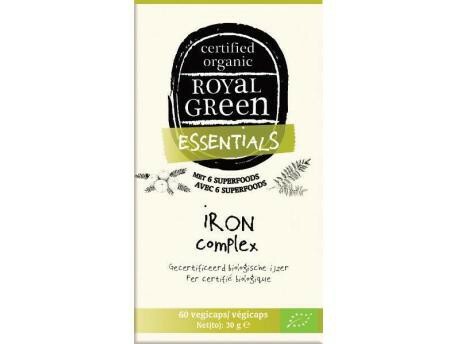 This iron supplement contains Curry leaf extract (Murraya koenigii), capsule: HPMC, stinging nettle (Urtica dioica), amla extract (Emblica officinalis), true aloe (Aloe vera), anti-caking agents: talc and silicon dioxide, turmeric (Curcuma longa), ginger (Zingiber officinale), black pepper (Piper nigrum). No Chemicals, No Preservatives, No Synthetic Sweeteners, No Flavour Enhancers, Naturally Gluten-Free, No Metal, Pure Food, Sustainably Grown, Certified Organic, 100% Vegetarian & Vegan. 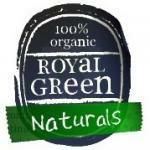 Royal Green has received the NOP Organic certification. Only products that are truly organic (not synthetic) can get this certification. 1-2 capsules per day, preferably with a meal.